← Should You Invite a Guest Blogger? Welcome back to our Monday Morning Coffee spot. Today, we decided to focus on a company making great use of Facebook to promote their business and demonstrate their craftsmanship when it comes to the completed project. In the MCC spotlight today is Van Cleave Construction, so grab your cup of joe and sit back for a few minutes while we take a look at what this company is doing to drive new revenue. They say a picture is worth a thousand words and nothing is more important when designing an update to your kitchen, selecting a new design for your deck or remodeling a bathroom. When looking for the right company to come into your home and create your vision, you want to know the selected provider can deliver on their promises. Van Cleave Construction is trying to accomplish this very task with its Facebook efforts. On a regular basis, Van Cleave Construction is posting pictures to their Facebook timeline, showing different stages of projects and highlighting their attention to detail. Unlike their static website, Facebook allows for consistent updates and the easy incorporation of photos. Most importantly, they capture the look up close so fans can see the beauty in the design, as well as from a distance for larger scale projects. Van Cleave also pays attention to the value of referrals, understanding the power of a recommendation when the job is well-done and the potential damage when a client is treated poorly. Both situations can easily be shared via Facebook and other social media channels, increasing the viral potential for both the good and bad. The construction industry is one heavily reliant on visuals and word-of-mouth. 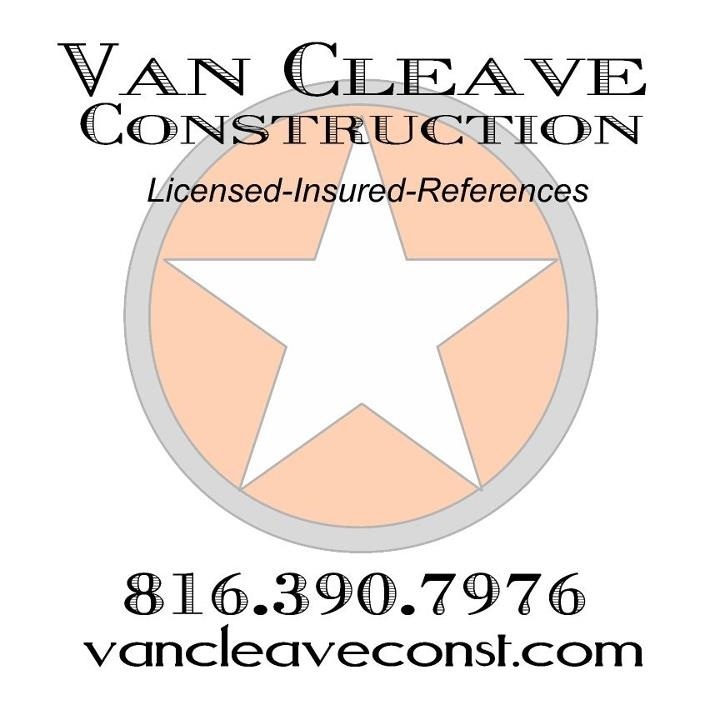 Through the use of Facebook, Van Cleave Construction has been able to not only demonstrate their capability through visual tools, but also to convey the quality and care they apply to all projects. Anything less could quickly make the competition look much more attractive. This entry was posted in Monday Morning Coffee and tagged clients, construction, customers, Facebook, Facebook timeline, Monday Morning Coffee, pictures, referrals, social media, social media channels, Van Cleave Construction. Bookmark the permalink. Cool idea, Susan. Interesting to hear about other St. Joseph businesses.